reaches out to a diverse group of individuals in the community and provides inclusive, stimulating educational and recreational environments. Improve social conditions through the play of chess. What make Chess Corps learning environments unique are the large per student investment of resources, the innovative, multimedia learning tools offered, the multigenerational learning community, and the high caliber of our professional faculty and staff. 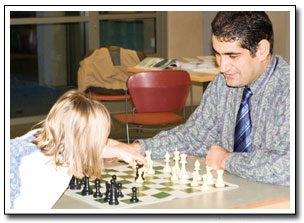 Our teaching professionals are patient, caring, open-minded, experienced and well-established members of the chess community who provide our learners with a tremendous amount of personal attention. 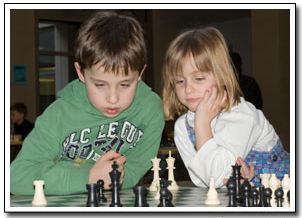 chess education and participation. Additionally, Chess Corps offers students the opportunity to learn individually and in group settings, guided by single or multiple instructors, to accommodate individuals of different learning styles and preferences. At Chess Corps, we believe that learning is bidirectional, and that adults can learn from children just as children can learn from adults. It is our hope that this type of atmosphere will encourage younger members of the Chess Corps community to actively participate in various aspects of the learning process and develop a greater sense of responsibility and confidence.